Uh oh! Facebook did it again. While Google+ enjoys its high-tech honeymoon with the digerati, Facebook has gotten in trouble, yet again, over privacy concerns. I don’t see the big deal. Facebook rolled out its facial recognition software – which allows users to identify their friends automatically in photos without their permission, and didn’t happen to tell its 600 million users that they’d have to opt out – again. 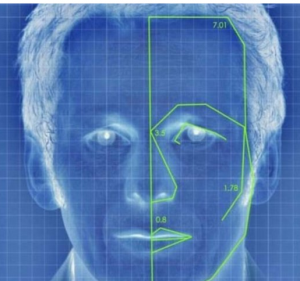 The facial recognition software matches the people in the billions of photos in Facebooks database with other photos in which they might have been previously tagged. The potential danger with this feature, notes ABC Nightline, is your Facebook friends can upload any photo and tag it with your name, and Facebook doesn’t give you the option to pre-approve your name being attached to that photo. Graham Cluely of the security firm Sophos said Facebook is eroding its users privacy by stealth instead of making privacy a default setting and letting users decide whether to give it away to opt in. Oh come on! Get over it! The bottom line is still the same: there is no such thing as privacy anymore. Facebook, Google, et al didn’t take our privacy away. We gave it to them. Before you get get your knickers all in a twist about it, remember that what goes online stays online. Mark Zuckerberg, has said that privacy is no longer a social norm and he’s right. • launched what can only be accurately described as a communication revolution that’s really still in its infant stage. If, instead of pursuing a misguided path with Open Graph, Zuckerberg had announced Facebook photo recognition’s new features; explained how it actually could make the web an even more interesting and collaborative experience and made trying the new tools an invite-only option, he might have had an entirely different response. Instead, as usual, he over-played his hand and now everyone and his dog will be up in arms, again. Even though Facebook broke the rules, there’s no going back. If you put your real birthdate online, entered your mother’s maiden name as a security question answer on a website, or ever sent a dirty joke in an emai, you need to stop blaming Facebook. PSFK reports that Facebook said in an emailed statement that “we should have been more clear with people during the roll-out process when this became available to them”. Just in case you’re still not convinced, ask yourself this: what makes LinkedIn, Facebook and all those other membership sites so valuable when it comes to IPOs? Your private data: the information, photos, videos and facts you’ve given away voluntarily. Your face is just one tiny part of the equation. You look marvelous, by the way. Bonus Link – Be afraid, be very afraid. Paranoid advice, or reality? Who knows?! Don’t Post a Profile Photo. I agree that this is less of a deal than it seems at first glance. Individuals forfeit their right to privacy once they publish their information online, photos and all. The information that appears on social media platforms like Facebook is all user-generated and voluntarily collected. The case would be different if Facebook employees purposefully took photos of users without their knowledge and uploaded them to the site. This reinforces the fact that people need to be mindful of what they willingly put forth to the online community. A simple “these better not end up on Facebook” goes a long way in protecting personal privacy.